Cape Town - Round 8 was a horror show for the South African teams in action. How will they fare this weekend... ? 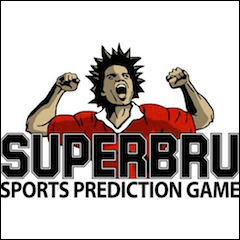 Click HERE to challenge the Sport24 'experts' on SuperBru! The Blues are still winless and again in round eight it was a case of what could have been for John Kirwan's side. They grabbed a losing bonus point away at the Chiefs - no mean feat and something many sides that finish above them will fail to do - but their win column still has a big, fat zero in it. 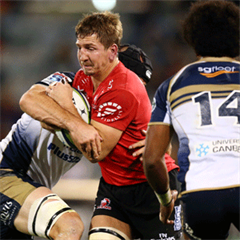 Something will give at some point, although it's unlikely to be this weekend against a Brumbies side that cruised past the Cheetahs last weekend, never really leaving third gear and paying for it by failing to snare a bonus point. The Blues have only played twice at home this season, but their fans aren't likely to get anything better than another losing bonus point this weekend. The Crusaders' utter dismantling of the Sharks saw them return to top form and make their loss to the Bulls the week previously look nothing more than a blip. It is not often that a team puts 52 points past the Sharks at their tank, and while they were helped by a red card they were also brilliant with ball in hand. The Highlanders had a bye last weekend but are in equally good form, their only loss in their last five games coming at home to the Hurricanes, and their one away game this year - at the Chiefs - yielded a win. That said, the Highlanders have lost their last six games in a row to the Crusaders and after their insatiable performance last weekend it's tough to look past the hosts here. 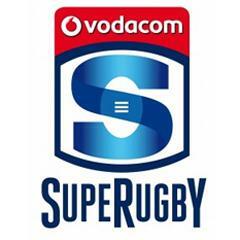 After their red-hot start the wheels have firmly come off the Stormers' season. Three consecutive losses in a row to New Zealand opposition makes for pretty grim reading, and their recent history against the Waratahs won't cheer them up either - they haven't won in Sydney since 2007. The Waratahs are starting to look more like the side that swept to the title last season, recording comfortable victories over the Brumbies and the Blues in their most recent two games leading into their bye last weekend. Home advantage seems to count for a lot in this fixture, and given the Stormers' poor form on their Australasian tour it's tough to look past the home side. Something's got to give here. These sides have just three wins between them, the most recent of which was achieved by the Cheetahs in round two, so barring a draw, one of the longer losing streaks in the competition will be broken this weekend. Recent history doesn't really help much here either - the Force won in Bloemfontein last year but the Cheetahs had won the three previous games between the two teams, but only one of those was in Perth. The Force are in desperate need of a win to prove that last season, when they came so close to a shock playoff berth, was not a blip. In the end my mind is made up by the Cheetahs' horrendous injury list, more than anything else. The Bulls' impressive winning streak was brought to an abrupt end last weekend by the Lions, and they return to Loftus with their tails firmly between their legs. A game against a team in disarray, with a solitary win to its name this year, is exactly what the doctor ordered. The Reds' terrible form has seen them slip perilously close to the bottom of the table, and they are now just one point above the Blues despite the fact the basement team haven't won a game. They beat the Bulls the last time the two sides met in 2013, but their last visit to Loftus was a horror show, ending in a 53 point defeat. It likely won't be any where near as big a margin this weekend, but it is with some certainty we can pick a home win here. The Sharks' horror story continued last weekend as another of their players saw red, Jean Deysel the latest to cop a card and the accompanying ban. As if to rub salt in the wound, captain and kicker Patrick Lambie has been ruled out with an injury and with Frans Steyn already on the touchline with a ban they are worn thin in the midfield. The Lions showed last weekend that their good form on tour was transferrable to home, dispatching the previously impressive Bulls with relative ease. The Lions have won just two games against the Sharks in the last 10 years, however. If there was ever a time to overturn that poor record, it is now. The Sharks' playing staff are in disarray, and the Lions, on a hot streak of form, should take advantage.